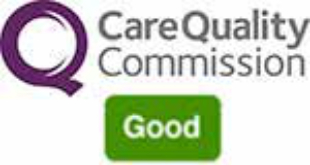 The Care Quality Commission (CQC) have recently completed their inspection at Derwen College awarding ‘Good’ across the board. Derwen College is based in Gobowen and is a residential specialist college, with students attending from across the UK. “We are delighted that CQC have recognised the continuing commitment and professionalism of everyone here at Derwen College. 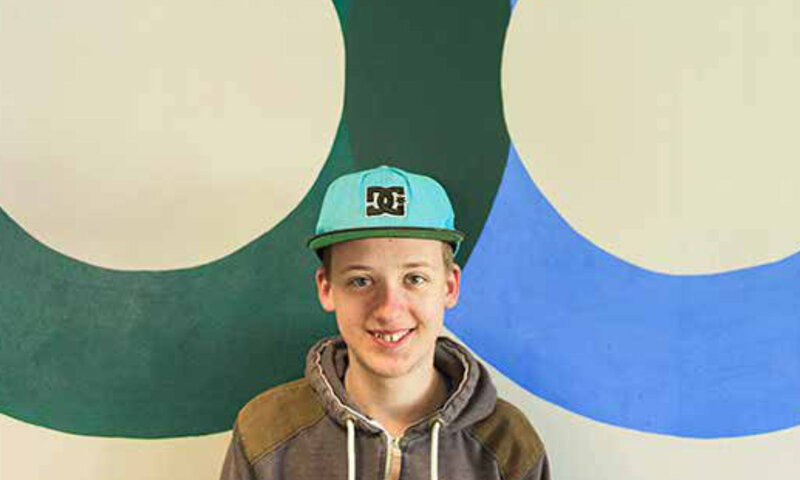 We are relatively unique in our status being a residential, further education college for young people with learning difficulties and/or disabilities and are not the average care home that CQC usually inspect. Having over 200 students in residence makes us one of the largest care homes in the country and CQC brought a top team of experienced inspectors to college for the two day inspection. Whilst we are pleased to have maintained our ‘Good’ rating from previous inspections, we also appreciate that the inspectors acknowledged that there had been improvements across the grading profile. We continue to strive for improvements to benefit the people we support. CQC stated that “there was an open and inclusive working culture where staff and management worked together to achieve positive outcomes for people” said Andrew Harris, Deputy Chief Executive Officer at Derwen College. The full report can be viewed at www.derwen.ac.uk. 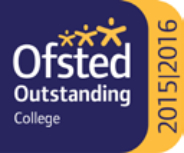 This positive inspection comes on the back of numerous awards and accolades in 2016 including a third consecutive ‘Outstanding’ Ofsted grading, shortlisting for TES FE College of the Year, Great Taste awards, NUS Student Union Of the Year Award and a number of students completing Gold, Silver and Bronze Duke of Edinburgh’s Awards. 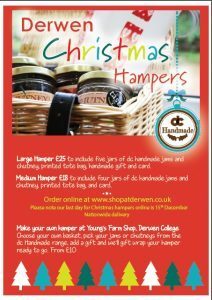 Derwen’s Christmas Hampers are available to buy on site and online! Our Christmas Hampers are full of homemade treats including our award winning jams and chutneys. You can order your Christmas Hampers online at www.shopatderwen.co.uk or pick one up from Young’s Farm Shop where you can also make up your own hamper for a bespoke gift. Did you know our students grow and harvest vegetables and fruit for the hampers, make the jams and chutneys in the food centre, sell the hampers in the Farm Shop? Students at our Craven Arms satellite site also run the online hamper business. Derwen College based in Gobowen, Shropshire have achieved Gold Standard level for their provision of Work Experience for their students for the second time. The award was given by Fair Train who are the owners of the national Work Experience Quality Standard accreditation. The award was presented to Abi Baker, Work Experience Co-ordinator at Derwen College by Ian Jelley, Deputy Chief Executive of Fair Train. Students at Derwen College are able to access high quality work experience opportunities from year 1 with a range of internal quality work experience sessions within chosen programme areas and the operational and commercial outlets in college. These outlets include the Orangery Restaurant, Tiffins Coffee Shop, Young’s Farm Shop, Garden Centre, Garden Café and the Walled Garden. These outlets are open to the public seven days a week and ensure students are learning to industry standard across the range of vocational studies on offer here which include Land Based Studies, Hospitality and Catering, Retail and Business Studies and Creative Studies & Personal Development. “We are so pleased with this second Gold Award which is a reflection on the hard work, enthusiasm and dedication of all the staff here. Our aims for the students here are that they have the opportunity to access meaningful work placements, we also have a Transition Team who liaise with employers in the home areas of students as they approach the end of their learning here at Derwen to continue the learning and the opportunities” said Abi Baker, Work experience Co-ordinator at Derwen College. The Work Experience Quality Standard is a national accreditation which provides external quality assurance for high quality work experience and employability programmes. The accreditation provides a framework for organisations to work towards, ensuring the placements they offer are high quality. There are frameworks available for employers, learning providers and facilitators, which complement each other and ensures that the learner journey is mapped consistently. “Derwen College are accredited at Gold level with the national Work Experience Quality Standard. This accreditation which is owned by Fair Train, recognises organisations that are leading their field with high quality work experience provision. The work experience programme that Derwen College runs epitomises all of the elements of best practice. 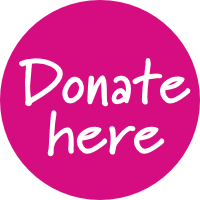 It is learner focused; tailored to their individual needs, structured; to enable the learners to grow in confidence and develop employability and life skills, and well supported; with expert staff who are passionate about supporting each learner on their journey. 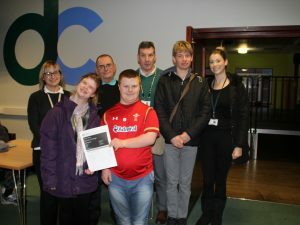 It is fantastic to shine a light on Derwen College’s provision and demonstrate to organisations across the country that high quality work experience can be delivered for all learners. They have truly embedded work experience into the curriculum and the benefits to learners are clear. 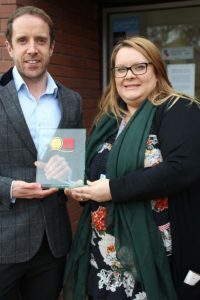 Fair Train is delighted to support their work and recognise their achievements with this award” said Ian Jelley, Deputy Chief Officer at Fair Train. For more information on the work experience opportunities at Derwen College visit www.derwen.ac.uk/working/work-experience.